Likening gift exchange to vengeance in reverse, Mark Anspach outlines a fresh approach to reciprocity and traces the emergence of transcendence in collective myths and individual delusions. "Exceptionally thoughtful and thought-provoking... Extraordinary and highly recommended." "More consequential intellectual clout than many a book many times its size. The joy of reading Anspach’s book is the continuous encounter with thought-provoking points of brilliance that in turn make for page after page of ideas to ponder." 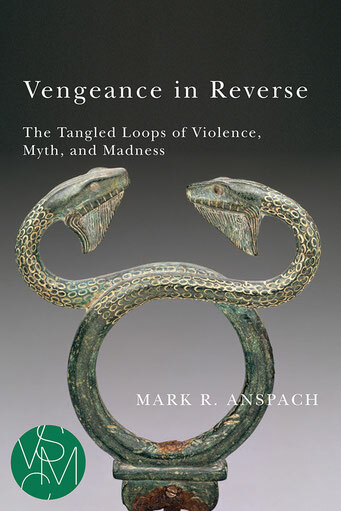 "Every person on the planet should read Mark Anspach's Vengeance in Reverse where he notes that as long as two sides search for the origin of a conflict (who started it and whose response is justifiable and justified) they will never be able to arrive at a solution for it." "Anspach knows his ways through the thickets of the human mind and the stratagems of violence. He [highlights] not just the temporal dimension of violence but also its temporal outlook... What Anspach does with this is important. It allows him to illuminate something that René Girard did not... Sacrifice substitutes one temporal orientation for another. Not only is the past injury repaid, but also a gift is given looking forward to new nonviolent exchanges... In this book Anspach makes available in a compact and accessible form his contribution to mimetic theory: the tangled loops of the violent mind have a certain logic that can be understood, gradually untangled, and withstood."